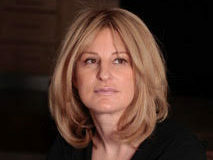 The Sunday Times has hired Guardian writer Decca Aitkenhead in the newly created role of chief interviewer as the newspaper makes several new hires and shuffles staff. 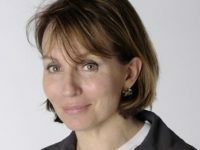 Aitkenhead, who has been twice named Interviewer of the Year at the Society of Editor’s Press Awards, including this year, will begin her new role predominantly writing for the Sunday Times Magazine from this month. Daily Mail finance editor James Coney will join the Sunday Times as money editor, while acting money editor Peter Conradi takes on a new role as Europe editor and will be based in Paris. Both make the move next month. John Collingridge has been appointed deputy business editor at the newspaper, under Oliver Shah, with the Daily Mail’s Rachel Millard taking on the role of energy and resources correspondent. The Telegraph’s Ben Woods has been appointed as the technology, media and telecoms correspondent at the Sunday Times, while Bloomberg’s Sam Chambers joins as retail correspondent. Millard, Woods and Chambers will begin their new roles within the next three months. 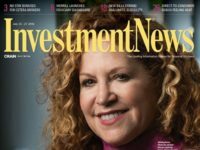 The Times and Sunday Times announced last month that it had reached 500,000 subscribers, with digital subscribers overtaking print subscribers for the first time. Sunday Times editor Martin Ivens said: “I’m delighted that The Sunday Times will have this influx of new talent at this exciting stage for us, as our subscriber growth continues apace. A poll by Comres, reported by Press Gazette last month, revealed the Sunday Times is the most widely read newspaper among UK MPs, with a third saying they read it at least twice a month. The Sunday Times is owned by Rupert Murdoch’s News UK. More questions than answers here. So is this the end of Lynne Barber? What happens to Paris correspondent Michael Sheridan? What about Andrew Byrne, EU correspondent?